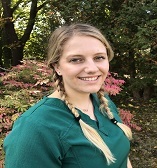 Kelly A. Leidenroth, RDH, BSDH, EFDA - Kelly graduated in 2015 from the university of Maine at Augusta-Bangor with her bachelor’s degree in Dental Hygiene and became certified in expanded functions in 2016. She has over 8 years’ experience in the dental field as a dental assistant and front desk experience. Kelly is very active in her profession and is a member of the Maine Dental Hygienist Association. Kelly is also certified in local anesthesia and nitrous oxide administration. When Kelly is not working to educate and connect with patients, she spends her time hiking, kayaking, cooking/baking, rock climbing, practicing yoga and watching Netflix. 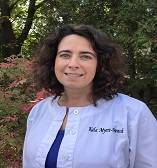 Kim E. Leidenroth, RDH - She is an on-call hygienist. She resides in Warren with her two children Will and Kelly. Kim worked for her late husband Craig Leidenroth, D.D.S., in Thomaston. She started in 1983 as a dental assistant, and graduated from Westbrook College in 1988 as a dental hygienist. She is a certified CPR/AED/First Aid instructor for the American Red Cross. Kim is a deaconess, and on the Christian Education Board for her church family at Warren Baptist Church, and recently just started a Prayer Shawl Ministry. In her free time she is devoted to her children, their farm, and a variety of interests such as biking, knitting, photography, and gardening. 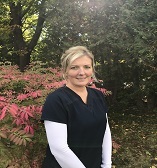 Kala Myers-French, RDH, IPDH - She began her career as a dental hygienist in 2004 after graduating from UMA- Bangor’s Dental Hygiene Program with an Associates in Science. Throughout her years of practicing, Kala has enjoyed expanding her knowledge and expertise in the oral-systemic links, holistic care practices, as well as, upper quarter pain, sleep apnea, and oral appliance therapy. She enjoys getting to know her patients and building relationships to provide the greatest impact on people in her community and continues to seek the latest knowledge and best practices in dentistry, business, and organizational leadership. She is currently volunteering as Secretary to the Simonton Corner Community Association board, attending USM to complete her Bachelors in Business and Organizational Leadership. She enjoys summertime in Maine, and most of all, gardening and spending time with her family here in the Midcoast. Judy McNaughton - For the past 14 years she has been working as a dental assistant and licensed dental radiographer. She is a Maine native living in Jefferson with her husband and two beautiful children. She enjoys spending her free time with her family, being outdoors and gardening. 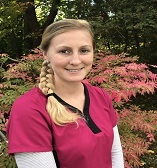 She enjoys her job as a dental assistant and takes pride in her ability in making patients feel relaxed and comfortable. educate and engage with patients, she enjoys spending time with her husband and two children. She and her family are an avid ski family and they spend countless hours on the slopes or driving to the next ski race. Linda Peabody, Office Manager - Linda has worked as a front desk assistant for over 35 years in several areas including legal, eye care and dentistry. Linda enjoys greeting all our patients with a smile and assisting them with all their dental concerns. 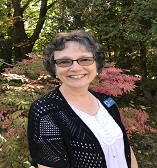 Linda is an active member of the Warren Baptist Church serving on the Christian Education Board, singing in the choir, children’s missions ministry, and the Prayer Shawl ministry. She lives in her home town of Warren and enjoys spending time with her family, crafting, walking and reading. Jessica Greene - Jessica has lived and worked in the mid-coast area for over 30 years. 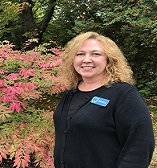 She received her bachelor’s degree in Business Administration in 2014 from the University of Maine at Augusta and enjoys using her knowledge to provide our patients with the best patient service possible. During her free time she enjoys spending time with her family, gardening, reading and exploring new places. She and her family love to travel and learn about new and exciting places to visit.